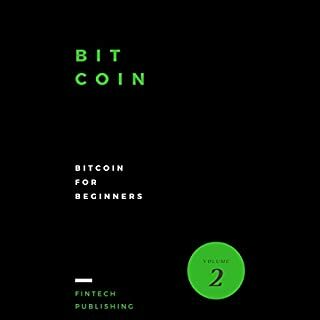 Bitcoin: Bitcoin for Beginners, is your one-stop guide to everything that you need to learn about bitcoin. This audiobook will give you a strong foundation on what bitcoin is all about, as well as how you can profit from it. This handy manual is excellent for beginners, and anyone who is looking for a profitable investment. The information was very useful and it really helps me. I know now something about BTC. It was easy to understand. Aging minds need to stay in the game and keep memories sharp. 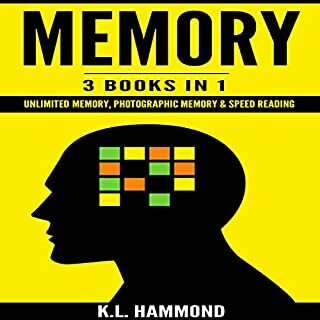 The tools in this book provide exercises to improve any memory, with a higher benefit for seniors grasping for their fading history. I've started personal logs of memory improvement with included exercises and enjoy newly found sharpness. I've been hearing a lot about the Mediterranean Diet, but just bits and pieces about it. 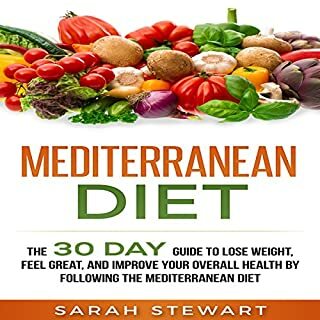 So, I wanted to get a beginner-level guide on how the Mediterranean Diet works. This book was just what I was looking for. It's well-written and easy to read. The book tells you what the Mediterranean Diet is and gives you the science behind the diet. The book includes simple recipes for breakfast, lunch, dinner, and snacks. This book was very easy to follow and read, I like how the author presented the information. 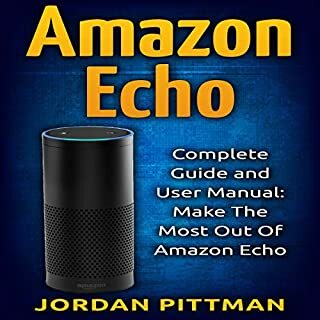 It explains in terms how to use .This book explains all the options of Echo.Highly recommended!!!!!! 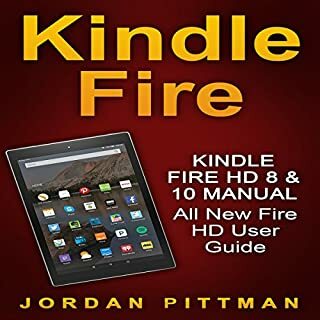 The guide hints on a number of things that will help me to make a good use of the Kindle Fire HD but it is most helpful when it comes to troubleshooting and the fix the various errors, when in operations. It comes with a good user guide. In this day and age of rapid change and financial uncertainty, building a tiny house is an obvious choice. Little space to heat, easy to maintain, low carbon footprint - the list of advantages is long. As an experienced outdoorsman and survivalist, I want to share practical tips on how to arrange your personal tiny house space to live in maximum comfort, no matter how big it is. A thorough and personable approach guiding anyone through the initial steps and beyond in &quot;going tiny.&quot; It covered many topics and answered questions with truth and a decent sense of humor. Good reasoning with emphasis on the importance of decluttering and how to do it. 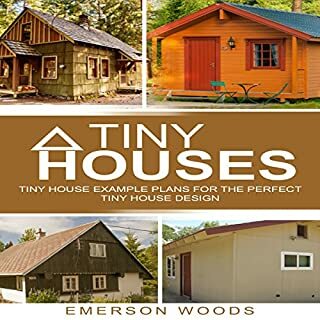 Would recommend to anyone even considering building a tiny house or if you just want to experience a day in the life of a tiny house owner. Many beginners are afraid to begin their journey in stock trading because they are more concerned about failures than they are about correct processes and potential. 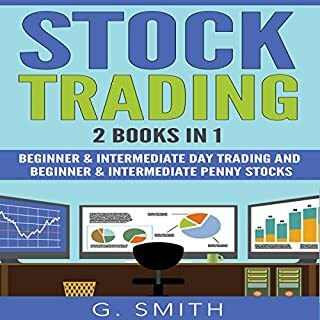 This book aims to alleviate some of your fears and provide a realistic perspective on day trading and penny stock investing that most people will benefit from if they follow the advice given within. This book will change the way you view and practice stock.I finished listening to the book and I am satisfied with the content. This is a brilliant guide to stocks and trading. It really does cover all the important aspects of trading and investments, especially for someone like me who is relatively new to it all. 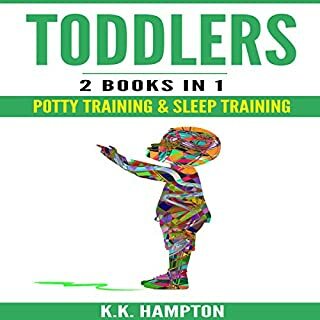 So this book for sure will really help you. Are you ready to quit your fulltime job and earn at your own time and place? Within a few minutes, you could be taking a giant leap towards earning some healthy income while you sleep. This book describes five of the most common strategies that newbies have a tendency to explore. Awesome explanation of passive income! 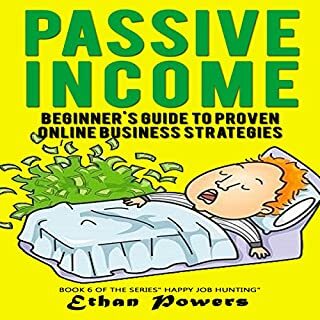 It helped me understand the meaning of passive, active and portfolio income; I was confused on the difference between passive and portfolio income before, this book, however, taught me so much about it which enabled me to understand its concept. How to communicate in verbal, non-verbal, writing, and visual communication. Have you ever had a conversation with someone only to later find out they completely misunderstood you? Have you ever had to make a presentation and didn't know how to correctly convey you message? 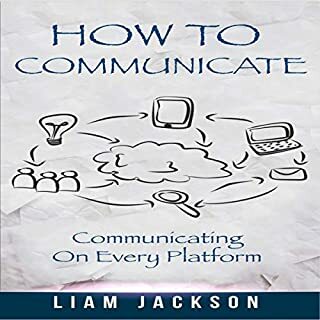 How to Communicate will teach you how to successfully deliver a message so your audience will comprehend the exact meaning of that message. While listening to this book, for me it was an immediate transformation. I have more confidence when I speak and I notice how people that I work with have a positive reaction. Great book and easy to relate. Very helpful, and great as a reference when you're &quot;in the thick of it!&quot; The book was a bit repetitive which got annoying, but a lot of it was very helpful.